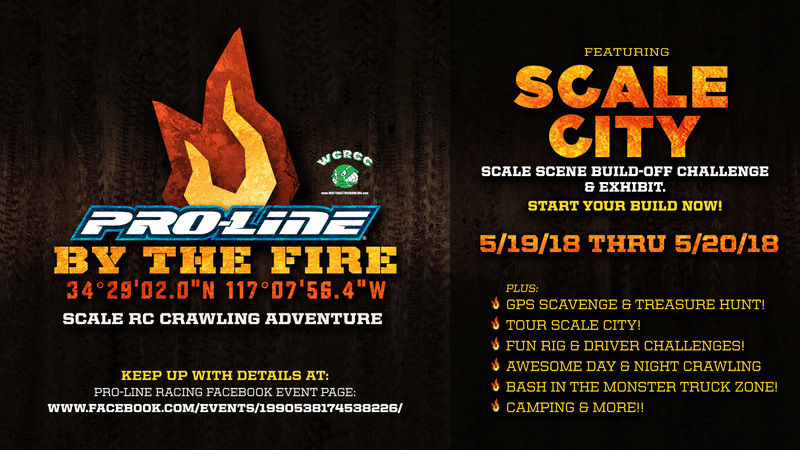 Pro-Line by The Fire is on the Horizon (Only 4 short months away), and Pro-Line Scale City is one of our new main attractions! We want YOU to Claim your stake in the Pro-Line Scale City and build a Scale scene for this year’s Pro-Line By The Fire Event! If you have a Scale garage and would like to put it on display, GREAT, but if you want to let your IMAGINATION run wild and create something unique just for the event, we encourage you to take part in this opportunity as well. There are no constraints (Small or Tall) with the your scale scene and it doesn’t have to be a full blown diorama. It can be something as simple as a single figure that portrays a story, a dinosaur on rampage, a clown holding balloons, or a western shootout! You name it! If you really want to build a masterpiece and get the support of the township then you are going to want to make a larger scale scene, maybe a Police department, Fire Station, Diner, maybe someone is shooting a film with a car crash, what about a Scale R/C Track!? I heard someone might even be doing a Drive-in Theater! The goal is to bring the Pro-Line Scale City to life. Just think about what you’d want to see in your Scale City. The options are limited only by your imagination! AWARDS and PRIZES for Top entries, and something special for all participants. We challenge YOU to put your best foot forward by claiming your piece of the Pro-Line Scale City Territory! Please inform us of your build by 04/30/2018 email [email protected] with your entry. Be Sure to Share your Ideas and Build Progress on the By The Fire event page! King of the Monster Trucks – Highlights and Event Recap!